When you choose a professional lawn care company for your yard, you get the benefit of years of experience and extensive training from the Natural Green Lawn Spraying team. We use certified technicians to come to your home and evaluate the condition of your lawn or shrubs. This allows us to know what pests and diseases you are dealing with and evaluate the overall health of your landscaping. 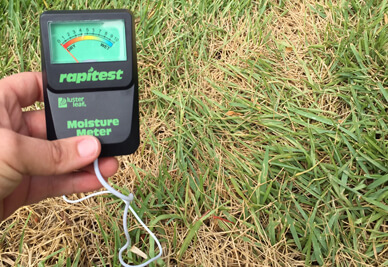 Once our technician has inspected your lawn and shrubs, he or she can create a program designed specifically for you. It will include the correct amount of fertilizer to help your lawn become or remain healthy. It will also include the number of applications and right products to treat any conditions. As your lawn is restored to health, we can adjust the program to ensure that it continues to look its best. Maintenance is just as important for a lawn as a treatment program that deals with specific diseases. 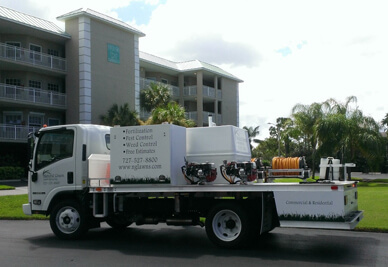 Natural Green Lawn Spraying makes sure our technicians and staff members are trained on the kinds of diseases and pests that are prevalent in the Pinellas County area. We can quickly diagnose conditions that are seen only in this region. A fast diagnosis and treatment plan results in a quicker recovery and prevents further damage to healthy plants. 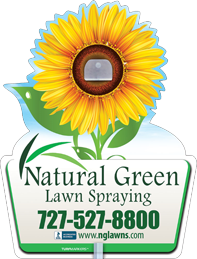 The technicians at Natural Green Lawn Spraying can answer your questions and provide advice about which plants and grasses to choose for this region. A Pinellas County lawn will look drastically different from one in a northern region. The plants that thrive in our environment will also be different. We also ensure that our technicians receive ongoing training to stay up on the latest natural products available on the market today as well as any new diseases or pests that have been discovered. Don’t settle for just any person that claims they can care for your lawn. Choose only professionals who make lawn care their career. Hire Natural Green Lawn Spraying to keep your lawn looking its best or to nurse a sickly lawn back to health. Call us today at (727) 527-8800 to schedule an appointment or to find out more.